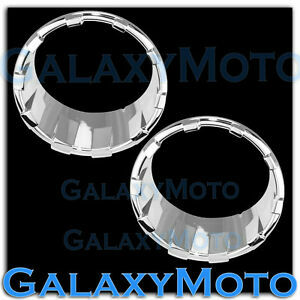 Chrome ABS HeadLight Lamp Cover Ring Trim Set a Pair for 07-16 Jeep Wrangler JK. The headlight inserts did not fit well at all. Would not snap into place. One popped off while I was driving and I lost it. They also did not come with instructions, adhesive strips (as most chrome does).